K.A.S.E. is the national Kappa League online academic and early college preparation initiative designed to increase the academic achievement, college and scholarship opportunities for Kappa Leaguers from grades 6 - 12. To enroll your student in the K.A.S.E. Program, he must be a member of Kappa League and contact his local Kappa League Director. 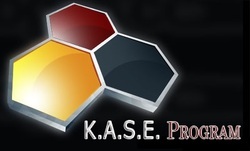 For more information on K.A.S.E. and Kappa League in your area please send an email to chattcitynupes@gmail.com.